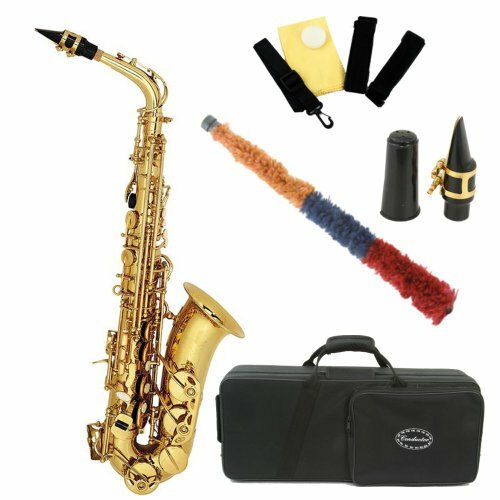 Legacy AS750 Student / Intermediate Alto Saxophone with Case and Accessories. Superior Quality Student/Step-Up Alto Saxophone in Clear Lacquer finish. Legacy instrument are known to be of superior quality and an outstanding value. Why rent when you can own a great instrument. 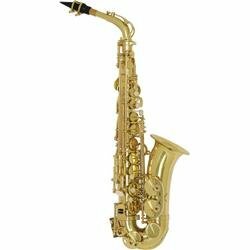 Comparable to one of the most popular student saxophones. Great intonation, quality and superior tone. 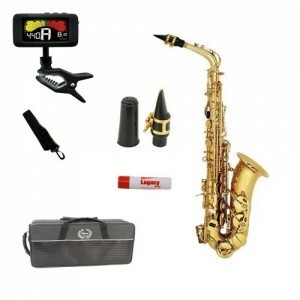 Includes hard shell canvas case which converts to a backpack, Mouthpiece, neckstrap, cap ligature, and reed. Superior Quality Student/Step-Up Alto Saxophone in Clear Lacquer.